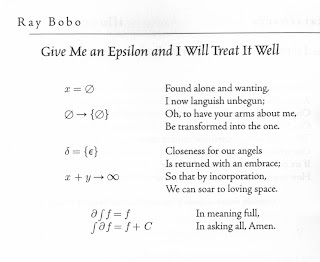 Ray Bobo, a retired Georgetown mathematics professor, has written a love poem with mathematical symbols. And, for those of us who might be unsure how to interpret the mathematics, Bobo has provided a parallel column with an English-language interpretation of his mathematics. Enjoy! 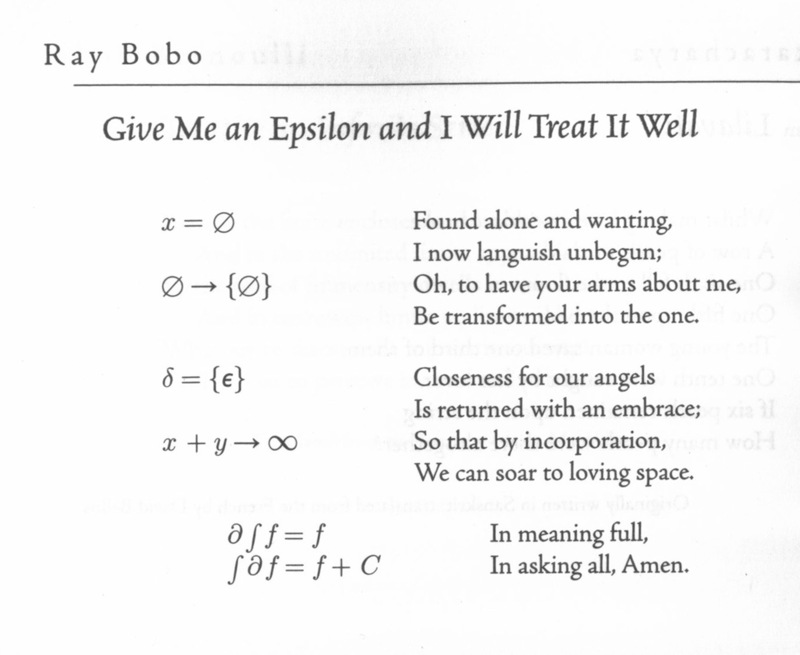 "Give Me an Epsilon and I Will Treat It Well" first appeared in the American Mathematical Monthly (1980); it also is found in the anthology Strange Attractors (A K Peters, 2008). I wonder what the epsilon represents?